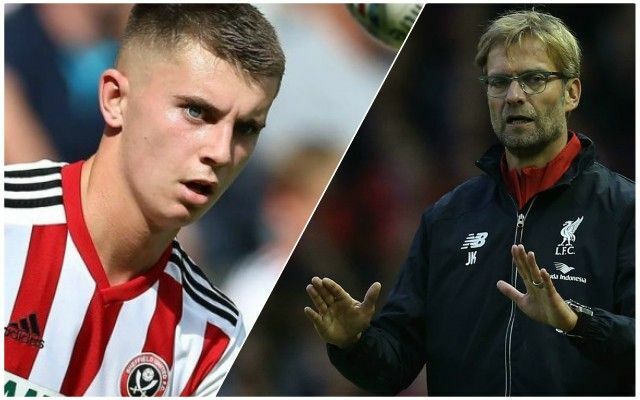 Jurgen Klopp and Liverpool are far from concerned about Ben Woodburn’s progression, despite the young Welsh player struggling to get a game so far this season for high-flying Sheffield United. Woodburn is still only 19, but he has only played 154 minutes of league football for the Blades and is yet to register a goal or an assist. Klopp told LiverpoolFC.com: “Ben is still an unbelievably young boy. “We will never lose him or think: ‘He is not doing well enough in Sheffield.’ It’s normal. He wanted it – he wanted to come into a situation where he had to prove himself somewhere else. “So far, it didn’t work out brilliantly but being in a situation like this and having some problems after eight or nine years with absolutely no problem in his development – because he was a stand-out player in our youth department – is very important. Woodburn is a very talented player, but it is a slight concern that he isn’t playing much in the Championship. Perhaps recalling him and sending him somewhere where he can get more game time would be the best thing for him.